The appearance of your home can say a lot about you, so it’s no wonder that so many people spend thousands renovating each and every room of their house. Unfortunately, we don’t all have the cash to install a new kitchen or buy new flooring, but that doesn’t mean that we have to suffer with a home that we’re not happy with. There are lots of ways that you can refresh your home without breaking the bank. Here are four inexpensive ways to give your home a facelift. Giving your home a good clean and tidy will always make a huge difference, even if it’s the only thing that you do. Of course, decluttering your entire home in one go is no easy task, so pick a room to start with, get that done, take a break, and then do another one. You should start by getting everything together, and then separate it into piles of things you’re going to keep and things you won’t. Anything you don’t use should be in your “won’t” pile. This will take a while, but you’ll thank yourself for your hard work. Your door is the first thing that your guests are going to see of your home, so it’s essential that it makes a good first impression. If you don’t have the cash to buy and fit a new front door, you should just repair or replace the parts that are damaged, like a rusty knocker, for example. You could also update your door with a lick of paint, a new doorbell, and some fresh numbers, and add some flower pots outside for a homely touch. If your flooring or carpet is looking a little worse for wear, you might want to replace it, but depending on your budget, this might not be possible. A much cheaper alternative is to buy one of the rugs at Modern Digs or another store. Of course, this isn’t going to have quite the same effect as replacing your flooring, but it will brighten up the room and will draw the eye away from any imperfections around it. If it’s been a while since you last painted your walls, you can probably tell. 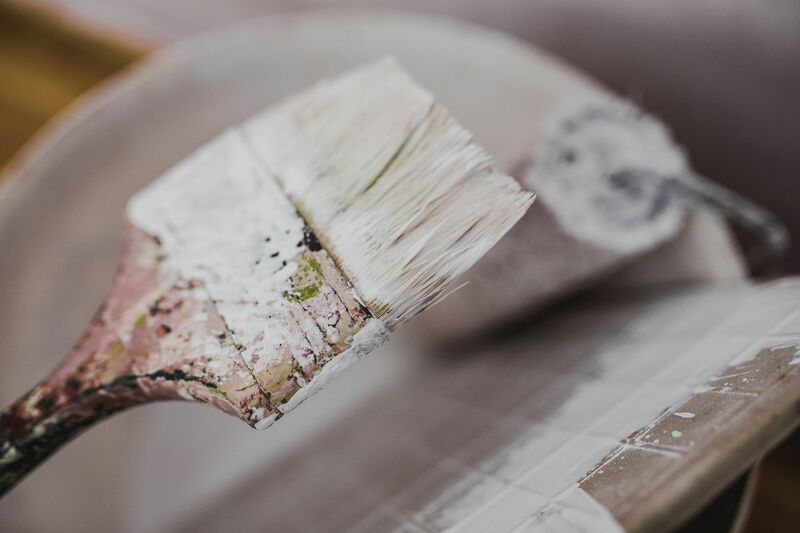 The paint on your walls very obviously reflects age, so it’s important to refresh it every year or so, to cover any scuffs or discoloration that has occurred over time. If you have had the same color walls for a while, it may be time to make a change and experiment with different colors. This will make your room look completely different, even if it’s the only thing you’re altering. A common misconception about home improvements is that they are always expensive. If you want to give your home a facelift, you shouldn’t let this misconception get in your way; There are lots of inexpensive (and sometimes even free) ways to refresh your home and give it a completely new look.